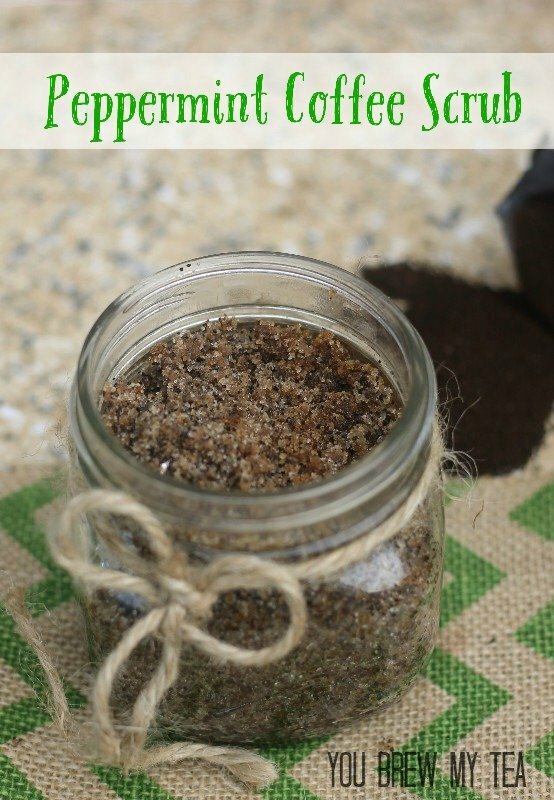 This Peppermint Sugar Scrub with Coffee is a favorite of mine during the holiday season! Peppermint is one of the most identifiable of all holiday scents. We put it in our coffee drinks, chocolate bark, cocoa, and spray it in our homes to capture the scent. It is a wonderful option for homemade body products, especially in the shower, as it is invigorating and wakes you up. Add coffee and you have a homemade sugar scrub that not only perks up your mind but softens, moisturizes, and smooths your skin. 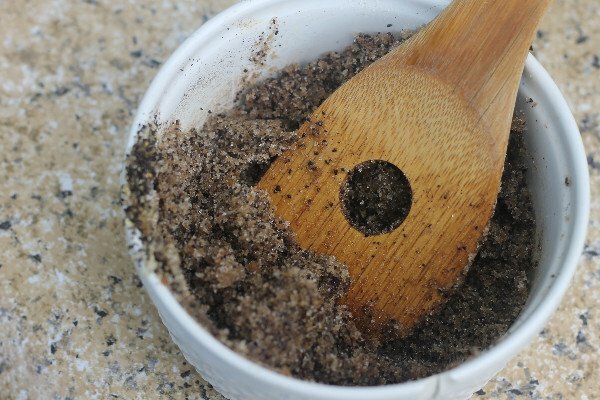 It’s a great for exfoliation, and smells amazing in the process. What more cold you ask for? Dry winter skin is no fun, but with the addition of coconut oil in this wonderful homemade sugar scrub recipe you won’t be worried about that any more! Make a generous sized jar and then double or triple the recipe to gift to friends and family who will adore you for such a sweet gift. I am not picky about brands of essential oils, but do prefer ones that state they are therapeutic grade. They tend to be higher quality with better scent. This means you use less oil in the mix than you would with other brands and types. Combine sugar, coffee, and 2 Tablespoons of coconut oil until well mixed. Add peppermint to suit your scent strength, add more oil if desired. I tend to like mine a little drier so it is a stronger exfoliant. Transfer to an airtight container like a mason jar. To gift wrap in ribbon or twine and add a pretty handmade ribbon. Since this peppermint sugar scrub does include coffee, you’ll want to make sure that you make it right before you gift it, and let your friends or family know they should use it within 1-2 weeks. Once coffee grounds get wet, they can mold pretty fast, so putting this in the refrigerator between uses is also a good idea to keep it fresh longer. For a bit of extra scent, you can grab some flavored or gourmet coffee grounds instead of your basic coffee. 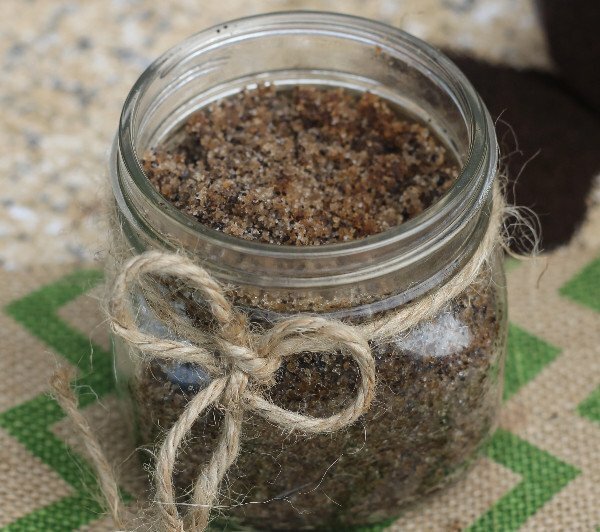 If you like this homemade sugar scrub, then you’ll love all of our other great scents. Holiday, every day use and detoxing scrubs are favorites of ours! Oh my, I bet that smells so good! Never tried mixing coffee and peppermint in a scrub, but I love both smells and I bet this smells wonderful. You can use either one. Grounds from making a pot of coffee tend to be richer and more aromatic. Either will work fine. Does it need any preservative? If I want to keep it for long. It stores safely for a few weeks.